Below is a hilarious, must see video of former Met and current minor league coach Wally Backman getting ejected from a minor league game. DON’T VIEW AT WORK!!! There is a lot of cussing. Johan Santana has been dominant once again this season, with an ERA of 1.29 in his last five starts and an ERA of 2.75 for the season. If you dig deeper into the numbers, and take out the one inning in which he let up nine runs to the Phillies who were illegally stealing signs, his ERA dips down a full run to 1.75 on the year. However, the lefty has just four wins on the season, and Wednesday afternoon against the Padres was another wasted Johan Santana effort for the Mets. While most players would love the opportunity to play in New York, one has to begin wondering whether Santana secretly wishes he could exile himself from the city and the organization. Read the rest of this entry ? 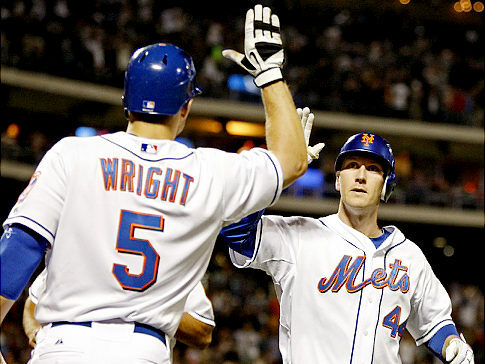 Everything is all 'high-fives' in Mets land...for now. For one weekend, the New York Mets were able to lay claim to the New York baseball throne by defeating the hated Yankees in an important series for the franchise. For three days, Mets fans could boast that Pelfrey was better than Phil Hughes and any thoughts of Sabathia being the better ace than Santana were put to bed. While the two wins in the past two days appeared to have saved Jerry Manuel’s job, and put some life into the Mets season, fans of The Amazins must keep their excitement in check. After all, haven’t we seen this same story before? Read the rest of this entry ? After a 10-7 win over the Nationals Thursday night, the Mets completed a 2-6 road trip and limp home facing six games at Citi Field that could be the coup de grace for Jerry Manuel. Despite an abundance of injuries, three games against the Yankees will be no cake walk and the red-hot Phillies loom after the weekend. A mediocre Mets team could find themselves six or so games under .500 by the end of next Thursday. Read the rest of this entry ? Sunday afternoon was a beautiful day on the Island, complete with sunny skies and a cool refreshing breeze. However, instead of lounging on the beaches, firing up the BBQ, or taking a stroll with my girlfriend on the boardwalk, I decided to torture myself like I was starring in Saw 7 and plop on the couch to catch the Mets/Marlins game. The “Amazins” were attempting to impede a four-game sweep at the hands of the fish. The contest began like a scene out of Groundhog’s day, as the third inning came equipped with defensive follies, clutch hitting by the opponent, and an injury to a pitcher to boot. All things that Mets fans have become accustom to for the past 10 plus seasons. Read the rest of this entry ? 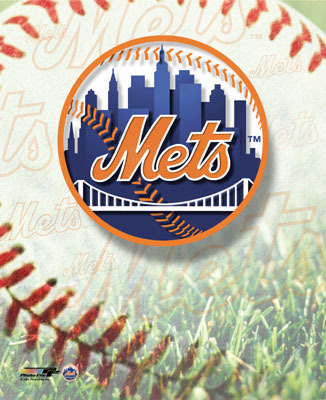 You are currently browsing the archives for the Mets Baseball category.